Epics, in the original sense of the term, fulfilled that purpose. The great epics celebrated the deeds of legendary heroes, pitting them against gods and monsters and cosmic forces. They reminded the audience that evil lurked everywhere--and that even mortals can overcome the most terrible foe. Through the epics the people tasted strange foods that no human could create, saw riches and wonders beyond human ken, smelled the salt of the wine-dark sea, and heard the compelling, majestic and irresistible voice of the heavens. Through larger-than-life characters and conflicts, the epics showed the people that there was much more to life than everyday mundanity -- and in doing so, expanded and elevated their minds. And, most of all, they were fun. SFF continues the grand tradition of Beowulf, The Eight Immortals and Nieblungenlied. It doesn't matter that it's fiction written for a contemporary audience; there will always be a human need to experience awe and beauty and just plain enjoyment, and among the established literary genres, SFF fulfils that need. It is its raison d'etre. 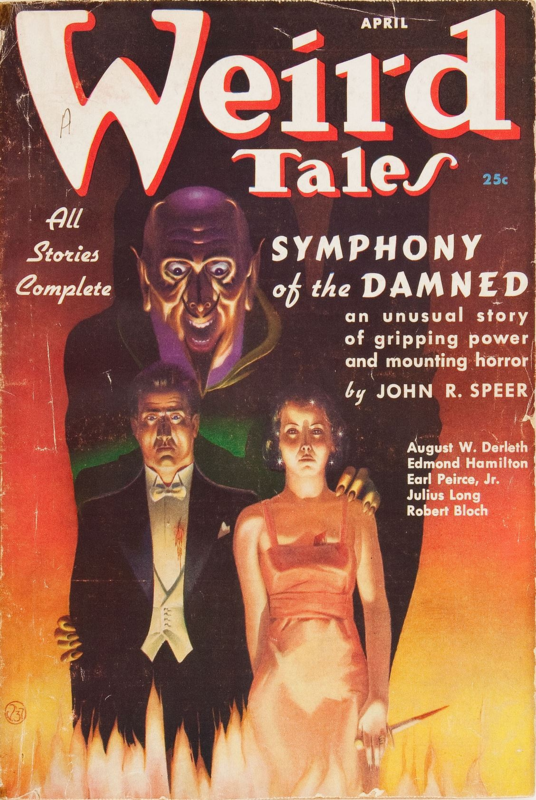 It is why a century ago, pulps were the best-selling stories in the world. 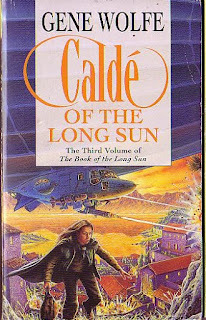 Much contemporary SFF no longer fulfils that desire. Pink SFF -- SFF more concerned about virtue-signalling and evangelising causes -- has perverted the purpose of SFF. Where we once had heroes, we now had amoral nihilistic villains; in the place of wondrous kingdoms we have rotting empires; virtue is punished and the evil elevated; gods were no longer mighty and dignified, but rather weak and piteous, or simply satanic. There is no beauty to admire, no virtue to celebrate, no heroes to adore, no truth to learn. This is why SFF is now the least popular literary genre in the world -- and quite likely at least part of the reason why many people just don't read any more. Story worlds are fragile things. They are consensual hallucinations held together by skeins of words and dollops of imagination. To be complete, to be coherent, these settings must have histories, peoples, politics, cultures, religions, believable geography and climate, technology and magic, language and art. These seemingly-disparate elements feed into and build upon each other, organically growing into worlds. If you replace or subordinate these elements with a single overriding political message, one that must reign supreme over every other ingredient, the result is a bland and colorless word stew, barely fit to be called a setting. Do you want to read a story that hammers home on every page the evils of racism and oppression and sexism, or would you rather follow Conan the Cimmerian as he travels through fantasy Europe, Africa, South Asia and the Middle East, fighting men and monsters and wooing beautiful women? Does a family drama following the travails of a pack of werewolves who live in a tiny island sound interesting, or would you rather follow the exploits of a masked black-clad vigilante who dispenses rough justice with psychic powers and twin .45s? 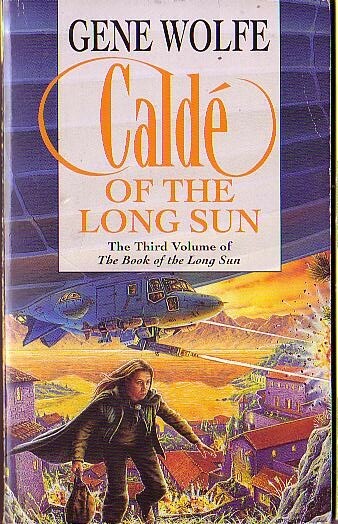 Which sounds more like a space opera: The story of a young boy who discovers he has supernatural powers, joins an order of warrior monks, participates in a galaxy-spanning war to overthrow an empire, trains to be a fighter pilot and swordsman, struggles to stay on the side of light, redeems his evil father and destroys a superweapon capable of destroying entire planets; or some kind of revenge tale featuring someone from an empire whose major identifying marker is that its people refer to each other as 'she' -- even those with masculine titles. World-building is the Bifrost that connects the author's vision to the reader's perceptions. A story world must allow for adventure and romance, fantastic cultures and fascinating peoples, vice and virtue, horror and honour. Without these, a story lacks colour, coherence, and cheer. It lacks fun -- and if a story isn't fun, people aren't going to read it. 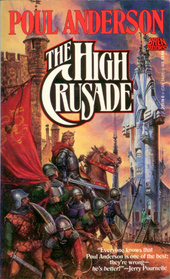 If you're an SFF writer and you hope to make a profession out of it, your stories have to be fun. It doesn't matter if you're with PulpRev or Superversive or you just fly solo. If you want people to read your stories, they have to be fun. To make a story fun, the story must be set in a compelling world where fun adventures await. If you get stuck crafting a world, if you're struggling to bind plots and ideas together, if your magic or technology feels boring, there is a single ready solution: go bigger. Don't let yourself be hemmed in by your beliefs or assumptions; let your imagination run wild. Escalate your stakes to encompass cities, countries, continents, worlds. Enable your magic or technology to solve increasingly larger plot problems - with an appropriately higher price. Make your villains more crafty and well-resourced and intelligent, and your heroes more skilled and brilliant and dynamic. Make everything more. 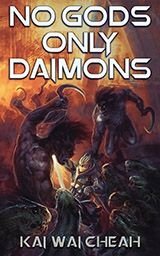 If you want to help make SFF epic again, do consider voting for my novel NO GODS, ONLY DAIMONS for Best Alternate History novel at the Dragon Awards. You can pick up a copy on Amazon here, and with 36 reviews and an average rating of 4.4 stars out of 5, I daresay it deserves a shot at winning.